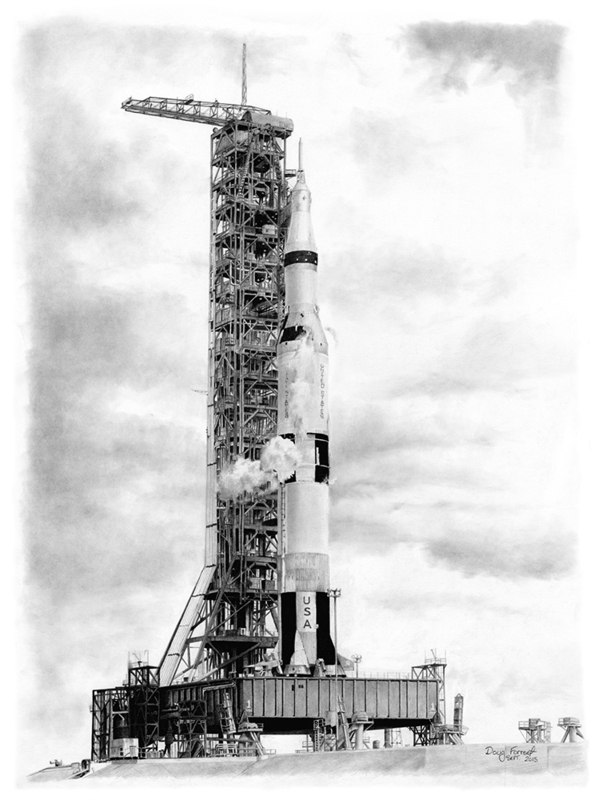 Graphite pencil and charcoal on paper – Apollo 4 was the first unmanned launch of a Saturn V. I decided to draw this image, because I really like the viewing angle and more personally, because it’s a great view of LUT #1. I wrote an article about the tower after seeing it at KSC, and that article started the savethelut campaign to preserve the tower as a monument to the Apollo program. The campaign failed, so I did this drawing as another form of preservation.